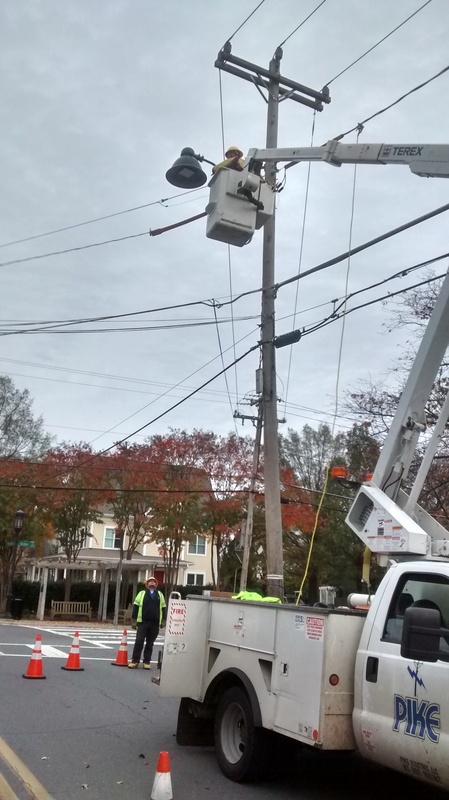 Crews install new streetlights on Tate Street on Sunday morning. 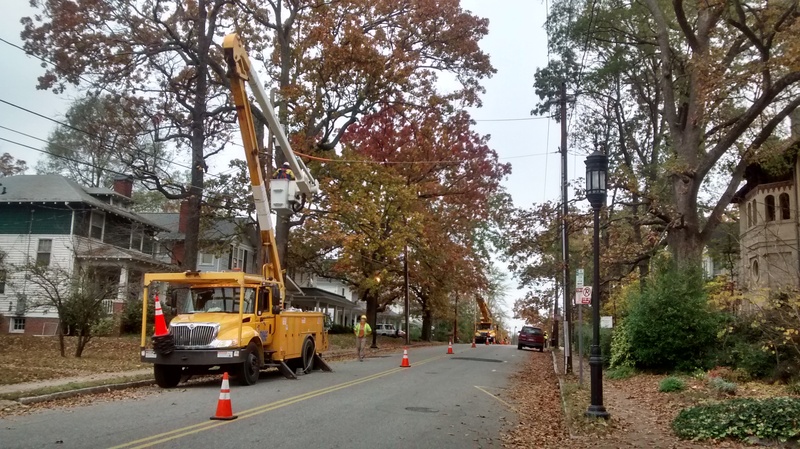 Crews are working on Mendenhall and Tate streets today, installing additional streetlights. The pole-mounted lights are the first of 50 or so that will help light up nighttime dark spots. 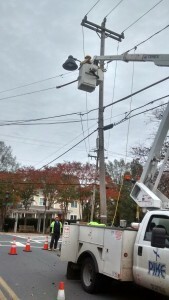 They’re the same lights that were installed last winter on several blocks of Mendenhall and Spring Garden streets. The LED lights have been paid for with funds from the historic district’s Municipal Service District tax. Inadequate street lighting has long been a concern of many College Hill residents. The neighborhood association began addressing the problem in 2014 with the installation of one light at Walker and Fulton streets. Reaction was positive, so a further test was conducted earlier this year with about a dozen lights, all placed within a couple blocks of the Mendenhall-Spring Garden intersection. Reaction again was positive; neither the neighborhood association, city nor Duke Energy received any complaints. The lights are designed to shine directly down onto the street in a tight cone without exposing nearby homes to the glare that our traditional streetlights put out. The very positive cooperation of both the city and Duke Energy has been critical to bringing this project along and is much appreciated. This entry was posted in Duke Energy, Mendenhall Street, Municipal Service District, Public Safety, Tate Street and tagged Municipal Service District, public safety, streetlights. Bookmark the permalink.